In parts 1 and 2 of this series I shared how I became an artist quite by accident, and slowly built up a sustainable business as a calligrapher and ketubah artist. It was cool to be able to call myself a professional artist, but the problem was, although I made my living from my art, I found myself spending only a tiny percentage of my time actually creating art. And the art I was creating was for clients whose visions didn’t always mesh with mine. Can you say “burnout”? “Retiring” from accepting custom work helped for awhile. This does not make for a happy artist. Then the economy crashed, and things got really stressful. In an attempt to find a “magic bullet” to my financial woes I embarked on what became a year of painful and expensive lessons, learned the hard way. My hope is that sharing the lessons I learned here will help prevent you from going through a similar experience. Read on, laugh at my stupidity (go on, I can’t hear you), and learn. Lesson #1: Don’t get complacent. I’d always thought my business was fairly recession-proof; after all, most of my work is wedding-related, and brides and grooms (and more importantly, their parents) will splurge on their wedding, even when things are tight. However, 2008 proved me very wrong, indeed. For the 12 years I’d been in business, my sales had grown steadily upward, until then. It never occurred to me my business might go down. But I’d gotten lazy. I’d never had to market myself, so I never learned how. Increased competition in the ketubah market didn’t help matters, and I found myself fighting for a smaller piece of a smaller pie. I came out of “retirement,” which kept me afloat (thank god for the well-paying clients who commissioned artwork that year!) But the clock was ticking on my once-fat savings account, and I knew I had to do something, fast. I threw myself at figuring out how to market my ketubah business. The thing was, I’d been coasting for almost three years, hadn’t done anything new for my business in that time, and had no idea how to function in the brave new world of 21st century marketing. To say I was resistant would be an understatement (“Things were going so well! Why can’t everything just go back to the way it was?” was my pathetic mantra.) But eventually I woke up to the fact that if I didn’t want to have to move in with my parents, I was going to have to get with the program. Lesson #2: Never pay for marketing on credit. My immediate solution to my problem was to throw what little money I had left at it. Plus more money that I didn’t have. Tip: this is not what a smart person would do. But hey, I wasn’t worried: I had a credit card with a 0% introductory rate for a full year! Surely I’d make back all of my money by then. Famous last words. Do not try this at home! Seriously, people, do not pay for marketing with credit. The thing is, as I’ve oh-so-painfully learned, marketing is always a gamble. I truly believed that every one of my expensive marketing investments would pay off, but as it turned out, not one of them did. If I could go back in time, I would not have paid a cent for marketing with credit. Alas, I can’t go back, but hopefully you can learn from my mistakes. The first of which was working with a PR firm that had the impressive bona fide (kidding) that they left some messages on my answering machine. But I was desperate, and they seemed to offer a magic bullet. If I could just get some publicity, I thought, it would drive traffic to my website, and make me sales. Bad move. Can you say “naive”? Lesson #3: Never jump in without doing your homework. Needless to say, I hadn’t done my homework, and the PR company, Champion Media, was seriously incompetent (the press release they wrote was so illiterate it had to be entirely rewritten, by my boyfriend). My money bought me nothing but a reprint of the (rewritten) press release on a couple of obscure websites. $1,000 deeper in debt. But no worries. The money wasn’t accruing any interest charges. I’d be fine. At least that’s what I told myself. Next I thought maybe wedding fairs would be the solution. People love my work when they see it; the trick is to get it in front of the right eyeballs. Since so much of my work is for weddings, what better place than a wedding fair? I had visions of capturing the larger wedding market (rather than just the Jewish/interfaith niche) – surely this would be the magic bullet to my problems! Unfortunately, once again I didn’t do my homework. First off, I had no understanding of how wedding fairs work (tip: nobody buys at a wedding fair, and 90% of success is follow-up), so the odds were already stacked against me. I was a babe in the wedding fair marketing woods. Plus, instead of trying out one fair, say, and seeing what kind of return it brought me for my investment, I immediately signed up for two fairs, and spent my entire summer madly prepping – creating samples of my ketubot and invitations, and paying for new matching chuppah canopy samples, paying for matting, creating special sample books, creating a booth to display everything in. I nearly killed myself with stress. Then, because I was so convinced wedding fairs would be the magic marketing solution (without one whit of actual proof that this would in fact be true), I signed up for two more fairs before I’d had a chance to see if the first fairs brought me any business. Can you say “stupid”? Again, do not try this at home! Total investment:$5,628.25 ($4,340.00 on booth fees; $1,288.25 to create my display and samples) Hmmm… My debt was growing into “real money.” Still, it was all on my 0% interest card. All was well. Though my blood pressure was rising. And it gets worse. Lesson #5: Don’t spend money on shiny new things that really aren’t necessary. I decided to re-name myself Wedding Artworks for the upcoming fairs, bought the domain WeddingArtworks.com, and found someone on Craigslist to create a site and install a shopping cart for me. Did I really need a new website? No. I totally did not. I just thought I did. Again, seriously stupid. Although this new website was supposed to cost me no more than $1,600 (already $1,600 more than was wise, and more to the point, $1,600 more than I had), things kept going wrong (I’ll spare you the painful details), and when all was said and done, I had $4,000 of additional debt, and a site that wasn’t even close to going live at the time of my fourth and final wedding fair, and which I would ultimately abandon. $4,000 down the drain. Kaput. To be fair, I did gain a couple of clients from my grand wedding fair experiment. The net result? About $10,000 in total expenses; about $4,000 (gross, not net) in sales. You do the math. As you might imagine, my 0% interest card was starting to feel a whole lot heavier in my wallet. Lesson #6: If you’ve got a niche, work it, because a more general market is a lot more competitive, and harder to crack. This particular coach gave me a free half hour website review and consultation. My website was fine, he said, certainly better than most wedding professionals. His prescription: stick with my niche (the Jewish and interfaith market – yep, after I’d just sunk $10k into a misguided attempt to penetrate the larger wedding market), start a blog, and establish myself as an “expert” through article marketing. In case you haven’t heard of this technique, in a nutshell, article marketing involves writing a slew of articles about your topic, each with links back to your website. There’s a bit more to it than that, but the basic idea is that with enough of these articles populating the web, your website will climb to the top of the search engines. From what I understand, Google is starting to give less weight to articles in its algorithm, but a year ago it was still apparently The Thing. I started focusing on my so-far-little-used ketubah blog, KetubahDiva, and determined to write myself into a ketubah-article tizzy. But first I was off to Vegas. The one thing I spent money on last year that I don’t regret was education: a marketing conference in Vegas for wedding professionals: the Wedding MBA. (Plus, not to be a shill, but late last year I also got some helpful coaching from Cory here at The Abundant Artist.) In Sin City I rubbed elbows with 1,000 “wedding vendors” from all over the country, and soaked up three days of nonstop seminars on everything related to marketing your wedding business. Earlier that year, in my other incarnation as a jazz singer/songwriter, I’d been to a guerrilla marketing seminar for independent music artists, where I was beaten over the head with the importance of having a blog, a Facebook fan page, and tweeting regularly on Twitter. It all seemed so overwhelming at the time, and although I dutifully created the appropriate accounts, I couldn’t quite wrap my head around what to do with them. Suddenly here I was a few months later, hearing exactly the same advice from the wedding professionals on stage. I can be pretty hard-headed, and sometimes it takes more than one beating over the head for me to get something, but with enough wallops it does eventually sink in. I came home energized, sure that now I’d found The Answer to my money woes. Lesson #8: Never let desperation affect your prices. In fact, I hadn’t found the answer. Despite all of my attempts, by the end of the year I was in deeper financial straits than ever. The wedding business is highly seasonal, and normally I fill the gaps in my winter income with my cushion of savings from the summer. This year, however, there was no cushion. I’d sold my tiny stock holdings earlier in the year to refinance my mortgage, my savings were drained dry, and thanks to my stupid marketing “investments,” there was a lot more out-go then income. Already my money desperation had been leaking out in seriously unhelpful ways. Fear of losing a potential client made me underbid the two jobs I got from the wedding fairs, and now I found myself being woefully underpaid for the amount of time I was putting in. Meanwhile, no new work was coming in. 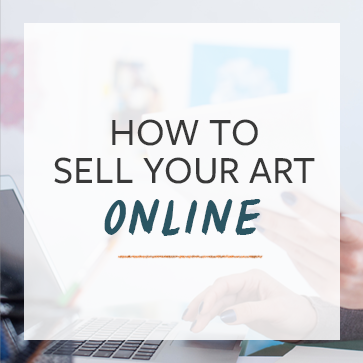 Several clients were on the radar, each having contacted me a number of times (wedding art having a rather long sales cycle), but nobody was handing over their damned credit card, and I was getting increasingly panicky. I literally had no idea how I was going to pay the mortgage. Can you say “terrified”? Oh, and did I mention that my 0% interest credit card was about to convert to real interest in a couple of months? Then, in early February, I made the biggest mistake of my business life, and truly hit bottom. Next up: Lesson #9: Never, never, never let desperation make you act in ways that don’t align with your core values. And how I (finally) started digging myself out. Great article! I’m anxiously awaiting the next installment. Great article Melissa! Thanks for sharing what you learned from your mistakes with the rest of us so that hopefully we can avoid those pitfalls. You’ve certainly left me hanging for the next lesson! That’s exactly my goal Esther, to help other people avoid the mistakes I made! Melissa, I really enjoyed these stories. I am looking forward to the next installation! Thanks Kelvin! Glad you’re enjoying them, and I hope they’re helpful! Thanks so much for sharing1 I have been many many things in my life – including art teacher extraordinaire, arteeest and currently office manager for a mental health clinic….don’t ask – the last because I have not like you quit my day job and taken the plunge ! The fear is that I will not make it in the big horrible world of marketing – especially to the niche market of Jewish art buyers. Any and all advice is oh,,,soooooo appreciated as I step out on the cliff and jump! Awaiting the next installment eagerly! I’ve been lots of things in my life too, Debbie. And jumping off that cliff into Full Time Artist is scary! Mine was more of a gradual journey, and I managed to avoid the cliff. Having gotten myself into debt, I definitely recommend being well-prepared financially before you jump! Thank you for the great article!! Many of use need to read this. I love your story and lessons learned. Waiting for the next installment…Lesson #9 and beyond. Even better, because you run no risk of being demoted by Google, is to write good informative articles related to your chosen niche and products and put them on your own website, making your site a natural target for links from other sites.